Why not take advantage of one of our free cosmetic assessments and find out how our general and cosmetic dentistry services, as well as a wide range of facial aesthetics treatments, can help you make the most of your smile? New patients are very welcome at S10. When you arrive for your first appointment, our friendly staff will greet you and make you feel at home. You can enjoy a delicious cappuccino or relaxing cup of tea in our luxurious waiting room, and we even have a free Wi-Fi connection if you need to check your emails or catch up with some work while you wait. 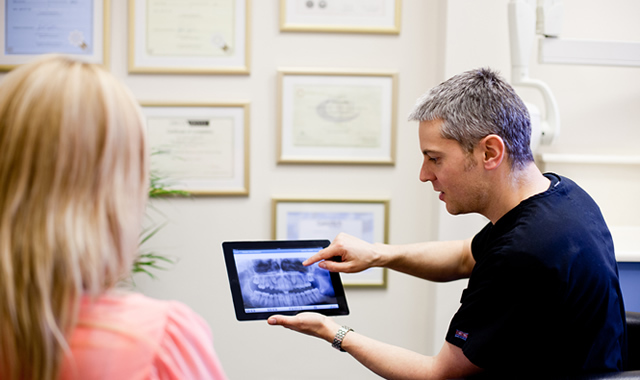 Our experienced dentist will find out as much as possible about your dental history when he welcomes you to the practice. By understanding your needs and aspirations, we can make sure that you receive the best possible dental care. When you visit S10 Dental, you can rest assured that you are in safe hands. We will encourage you to attend regular check-ups to make sure that your teeth and gums remain in the best possible health. By keeping these appointments, we can spot potential problems as soon as – or even before – they occur and help you feel confident about your smile every day. S10 offers a comprehensive range of general and restorative dental services including white fillings, crowns and dental implants. We also have a dedicated hygienist who will work with you to optimise your dental health and give you brighter, whiter teeth.